Enjoy beautiful gulf views from this Gulf Front corner unit within the gated Monterey complex. 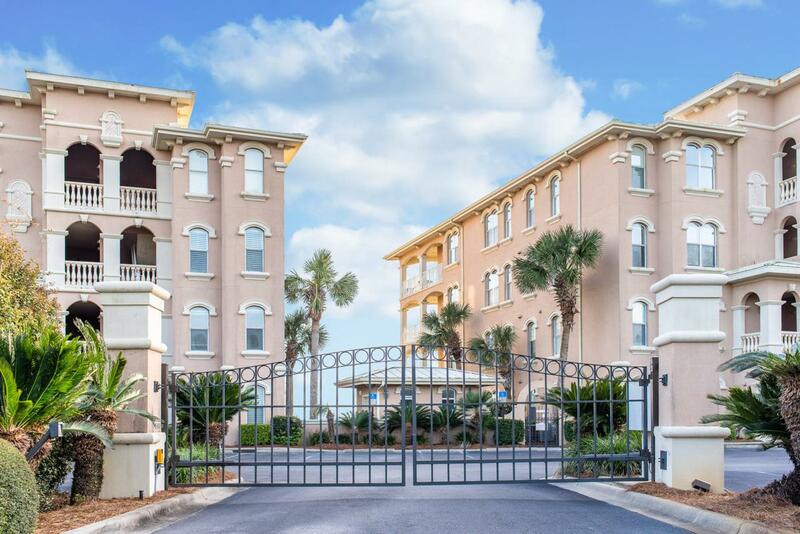 Located within waking distance of Alys Beach this ground level unit features three full bedrooms plus private bunk room. Master bedroom has gulf views and features a private entry to the wrap around terrace. Pristine kitchen with all new cabinets, counter tops and appliances. Walk out to your terrace and you are just steps away from the pool and the beach walkway. Ground level gulf fronts with views like this one has are rare to find. Don't miss your opportunity to take advantage of this offering. Listing courtesy of Rosemary Beach Realty, Llc.